Marty grew up on a Wisconsin farm where his family raised chickens. 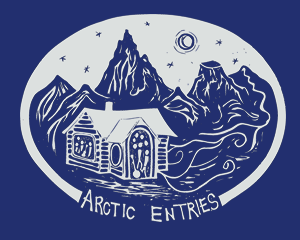 One night, his family house caught on fire.In the spirit of This American Life, The Moth, and other storytelling events, Arctic Entries brings Alaskans to the stage to share their personal stories: funny, sad and sweet. At every performance, seven people each tell a seven-minute long, true story relating to the show’s theme. With humor, Lily shares her story of experiencing food poisoning while on a hike at summer camp.In the spirit of This American Life, The Moth, and other storytelling events, Arctic Entries brings Alaskans to the stage to share their personal stories: funny, sad and sweet. At every performance, seven people each tell a seven-minute long, true story relating to the show’s theme. While pursuing a summer internship in India, Jenna and her fellow students experienced an adventurous road trip involving tourist traps and food poisoning.In the spirit of This American Life, The Moth, and other storytelling events, Arctic Entries brings Alaskans to the stage to share their personal stories: funny, sad and sweet. At every performance, seven people each tell a seven-minute long, true story relating to the show’s theme. Setting out for a good "bro time" camping trip, Erik and friends experience an unfortunate, but bonding, turn of events.In the spirit of This American Life, The Moth, and other storytelling events, Arctic Entries brings Alaskans to the stage to share their personal stories: funny, sad and sweet. At every performance, seven people each tell a seven-minute long, true story relating to the show’s theme. Debbie and her dog team persevere on the Iditarod trail, and are joined by an unwelcome helicopter/camera on one of the most treacherous stretches.In the spirit of This American Life, The Moth, and other storytelling events, Arctic Entries brings Alaskans to the stage to share their personal stories: funny, sad and sweet. At every performance, seven people each tell a seven-minute long, true story relating to the show’s theme. Christy artfully weaves the stories of dipnetting for salmon and raising her son.In the spirit of This American Life, The Moth, and other storytelling events, Arctic Entries brings Alaskans to the stage to share their personal stories: funny, sad and sweet. At every performance, seven people each tell a seven-minute long, true story relating to the show’s theme. Nelson Carpluk"s first caribou hunt at age 26 is adventurous, humorous, and eventually successful.In the spirit of This American Life, The Moth, and other storytelling events, Arctic Entries brings Alaskans to the stage to share their personal stories: funny, sad and sweet. At every performance, seven people each tell a seven-minute long, true story relating to the show’s theme. This week on Addressing Alaskans we’ll be listening to stories from Arctic Entries, a live show that took place on January 12 at the Alaska Center for the Performing Arts. In the spirit of This American Life, The Moth, and other storytelling events, Arctic Entries brings Alaskans to the stage to share their personal stories: funny, sad and sweet. At every performance, seven people each tell a seven-minute long true story about themselves relating to the show’s theme. This time around we’ll hear stories about a tourist trap, a rooster named Fred, pepper spray, fish, and walks in the wild. Addressing Alaskans features local lectures and forums recorded at public events taking place in Southcentral, Alaska. A variety of local organizations host speakers addressing topics that matter to Alaskans. To let us know about an upcoming community event that you would like to hear on Addressing Alaskans, please Contact Us with details.